Concept of individuality, exclusivity, better choice and winning. 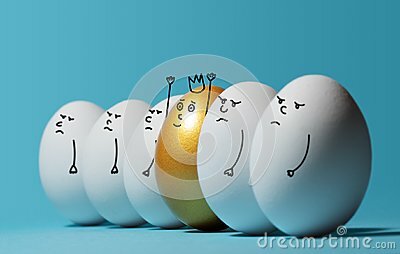 A smiling golden egg with a crown among angry and sad white eggs on blue background. Eggs with funny drawn faces.